Dr. Anup Shekhar Chakraborty (b. 1980) is Assistant Professor at the Department of Political Science, St. Joseph’s College (North Bengal University), North Point, Darjeeling, West Bengal, India. He is an alumnus of St. Xavier’s College, Kolkata and University of Calcutta. The thrust areas of his research interests includes Identity and Ethnicity in Northeast India, Gender and Spatial Politics, Migrations and Diaspora, Media and Culture Studies, Community & Policy Studies, Development Studies, HIV/AIDS and Reproductive Health, Human Rights, Women and Child Rights, Refugee Issues etc. He was awarded the ‘India Social Science Research Award 2009’ by Canada’s International Development Research Centre (IDRC), Digital Empowerment Foundation (DEF) and India Development Foundation for his research work on “Politics of Social ‘Exclusions’ and ‘Inclusions’ in Mizoram”. 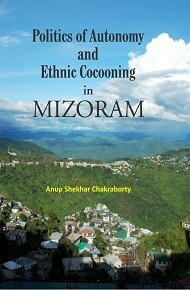 His current research “Contested Landscape and Befuddled Public Sphere: Media, Democracy And Public Participation In Darjeeling Hills” engages in the protracted ‘sometimes dormant, sometimes active’ Gorkhaland movement and unravelling the problem of the contest over the land and the nature of the public sphere in the Darjeeling Hills. He is the C.R. 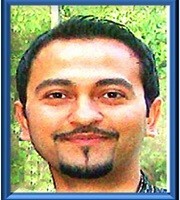 Parekh Fellow (2011-12) at the Asia Research Centre, London School of Economics & Political Science.